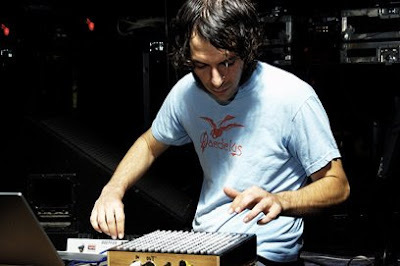 LA electronic dandy Daedelus plays a live monome set (the monome is a box of delights, look it up on Youtube). Doing a DJ and AV set is DJ Food, playing live is new Ninja signee Grasscut, pioneer of experimental music that you actually want to dance to, then DJing into the early hours we have King Cannibal and, hopping over from Lo Recordings, the magnificent Cursor Miner, aka the electro Syd Barrett. This is a feast of hot Ninja Tune meat.